The remains were found back in 1991, but it took almost two decades to clean the bones and examine them. 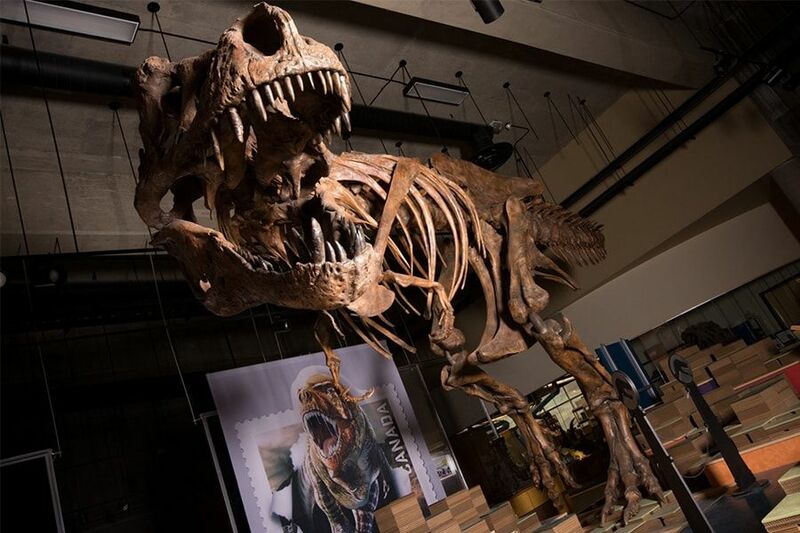 Scientists from the University of Alberta (Canada) published a work in the journal The Anatomical Record, in which they reported on the results of a study of the skeleton of a Tyrannosaurus rex named Scotty. He was the largest of the famous representatives of this genus. Lead author Scott Persons (Scott Persons) called it “Rex of all Rex.” According to him, among them there is some variation: some can be longer than others, others – larger and stronger. Scotty belongs to the latter category. Bones found in 1991 near Saskatchewan. The sandstone in which they lay (the age of sediments is estimated at 66-71 million years) was so hard that it took more than ten years to extract the remains. After that, paleontologists collected the skeleton and studied its features.